cat grooming fees - what do they cover? Ever wondered about cat grooming fees – what do they cover? Tonight I sat watching a cat grooming video on You Tube. The groomer was demonstrating how to do a lion cut. In the room was the groomer, the owner and a person filming. I was appalled at how the cat was being treated. The groomer handled the cat like it was a piece of meat with no feelings. Grabbing it by the scruff, pulling its legs out roughly, moving it around on the table by its tail and, on one shocking occasion, grabbing the cat roughly by the throat. The cat was becoming more and more defensively aggressive, understandably. In the background the owner thought this was quite funny. I won’t mention who the groomer was or even what country they were in but I finished watching the video feeling sad, angry but also defensive. Read more to find out about cat grooming fees – what do they cover? This week two enquiries for my cat grooming service ended with the clients thinking I charged too much for a ‘simple’ cat groom! Watching the video described above, as well as countless others on You Tube, made me realise what a premium service I offer and made me want to tell clients exactly why I charge what I do. Today I worked with an elderly matted cat. Its skin was so thin it was like tissue paper. The cat was relaxed at the beginning and the shaving went well. The cat became distressed when I neared the belly and nether area. What was needed was patience, understanding, kindness and gentle handling. None of which I saw in the You Tube video. Not only did I ensure that the cat had plenty of breaks to wander around, drink water and have a play with a toy I brought with me, but I ensured I worked within the comfort zone of the cat. I allowed the cat to tell me which positions were not comfortable and which joints may be hurting, so that the upmost care was taken when gently manoeuvring it and that it had plenty of head and cheek rubs so that it did not feel threatened. 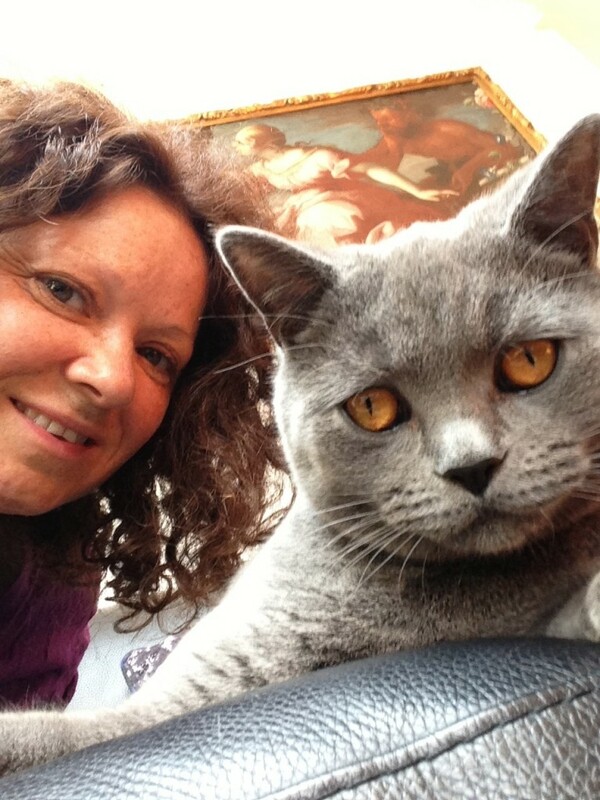 My grooms are aimed at leaving cats with a pleasant experience, rather than a negative fearful one and this takes time. Cats do not like to be held for a long period of time and they demand respect. A groom is not about control. It is not about the groomer being dominant without any thought for the cat’s wellbeing. Yes! My mobile cat grooming service is more expensive than a grooming parlour. This is because my full attention and focus is on grooming the cat to the highest standard with a holistic approach, taking into account the cat’s mind, body and spirit. 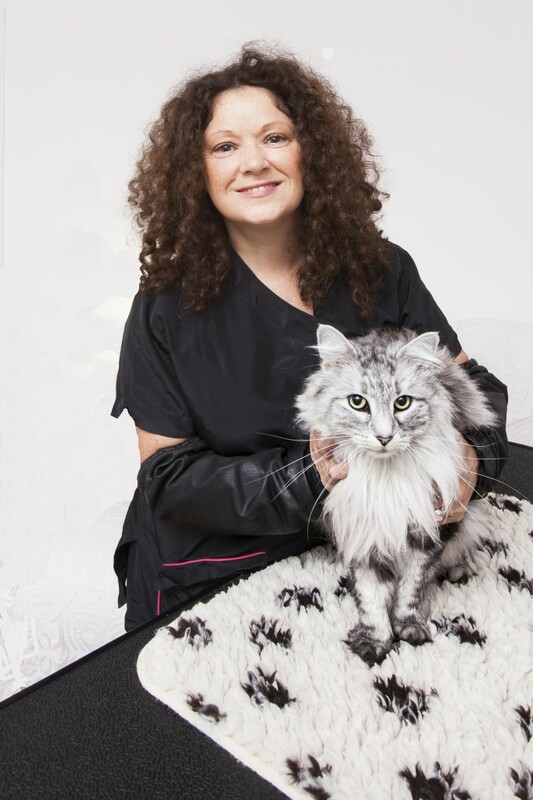 Clients get grooming advice to help them care for their cat, because I believe both cat owner and professional groomer should work together to ensure a cat never gets matted again. The groom is performed in the comfort of the cat’s home with the client present at all times, so that the cat can feel secure, safe and can take breaks within a familiar environment. Some cats do find the grooming process challenging. All temperaments are carefully considered and my work approach is altered to reflect the best way to work with the cat to get the job completed with the least possible stress. My cat grooming fees – what do they cover? My skill. Have you ever knocked down your dentist, or another highly skilled professional in price? Cat owners can pay less for a quick service which may or may not leave their cat feeling too good or they can pay for a premium service which has their cat’s interests at the heart of the groom. Put yourself in your cat’s shoes. What would you rather your owner chose?